Washington, DC – With lead funding from the National Endowment for the Arts, the Herbie Hancock Institute of Jazz will bring its “Peer-to-Peer” jazz education program to Tulsa and Oklahoma City public schools February 25 – March 1. Combining performance with educational information, these “informances” will be presented by six of the country’s most gifted high school music students along with internationally acclaimed saxophone recording artist Steve Wilson, Kansas City jazz and blues vocalist and a former winner of the Institute’s International Jazz Vocals Competition Lisa Henry, and renowned jazz educator Dr. JB Dyas. 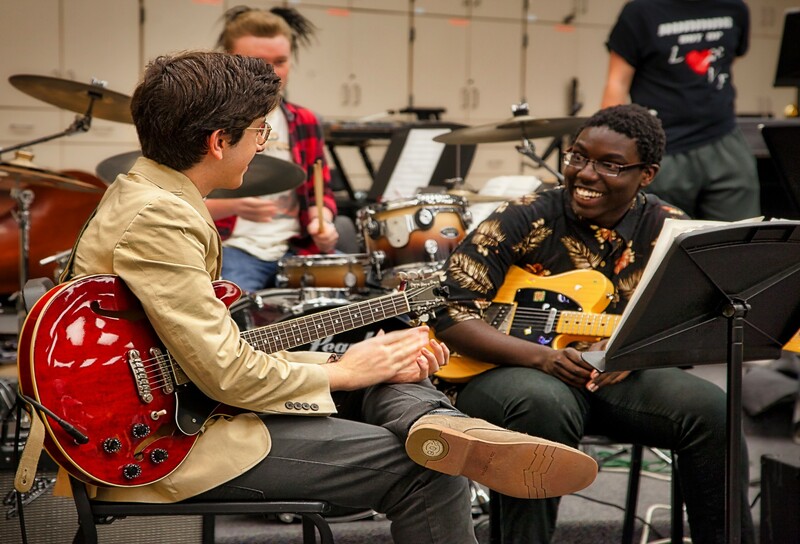 Each school visit will include an assembly program featuring musical performances for all students, followed by jazz workshops for each school’s jazz band and choir with the visiting student performers playing alongside and sharing ideas with their Oklahoma counterparts. Immediately following the informances, Wilson, Henry, and Dyas will conduct jazz workshops for each host school’s jazz band and choir in which the visiting students will play side-by-side with their Tulsa and Oklahoma City counterparts, providing tutelage peer to peer. In so doing, they will teach and learn from one another not unlike Herbie Hancock did with Miles Davis, Wayne Shorter, and so many other eminent band mates over the past half century. They’ll also learn about each other’s cities and culture. “I’m really looking forward to talking and playing jazz with the Oklahoma students,” added Hayse. “So many great jazz players have come from that part of the country.” Indeed, such jazz icons as Chet Baker, Barney Kessel, Howard McGhee, Jay McShann, Oscar Pettiford, and Jimmy Rushing hail from the Sooner State. The weeklong tour will conclude with two performances open to the public on March 1st at Oklahoma City’s premier jazz venue, the UCO Jazz Lab (at the University of Central Oklahoma School of Music, 100 E. 5th St. in Edmond), where Oklahoma residents and visitors are invited to enjoy an evening of music with Wilson and Henry alongside jazz’s future “young lions.” The octet will perform standards, jazz classics, and contemporary jazz, including compositions from Wilson’s and Henry’s latest recordings. The shows begin at 8:00 pm and 9:45 pm.